D-Zero Class Merchandise – Rebooted! 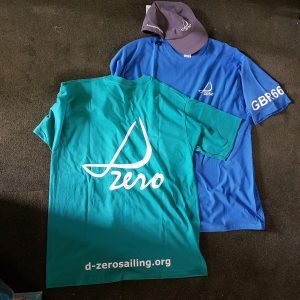 As seen at the Inlands, and now available, Class Association approved D-Zero T-shirt and Sailing Hat, Order now in time for Christmas! 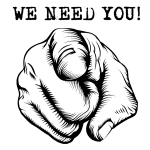 T-Shirt – A classic fit Russell Athletic heavyweight 180g weight 100% ring spun cotton t-shirt, giving long lasting, durability and wearer comfort. 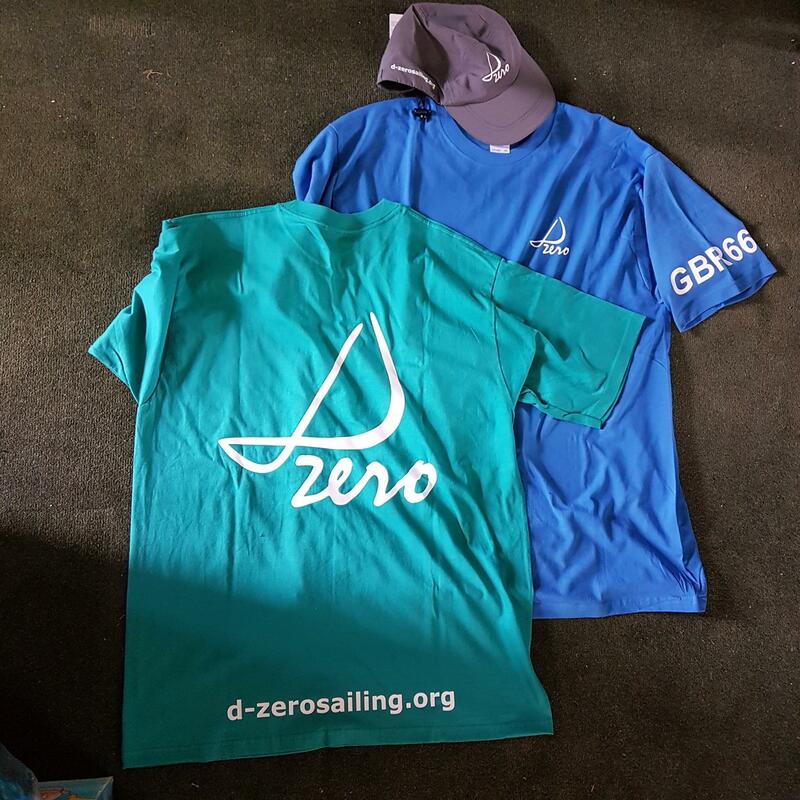 In 2 colourways – Azure Blue or Winter Emerald, and printed in white with the D-Zero logo on the front chest, large D-Zero logo on the back plus the class assoc web url. 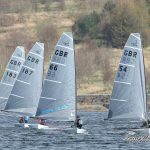 For those who wish to personalise, add your sail number to the sleeve for no extra cost. The shirts can be machine washed at 40C and tumble dried, however for longer wear it is recommended to air dry and iron inside out. 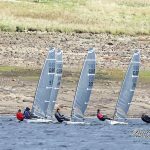 Postage and Packing is £5 per package (up to 4 shirts or 2 shirts/2 hats) so join up with your sailing buddies to reduce costs. 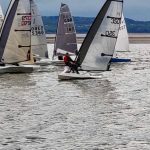 Order Now – please complete the form below and David Valentine (GBR 66) who is organising this on behalf of the class will contact you with details of payment etc. 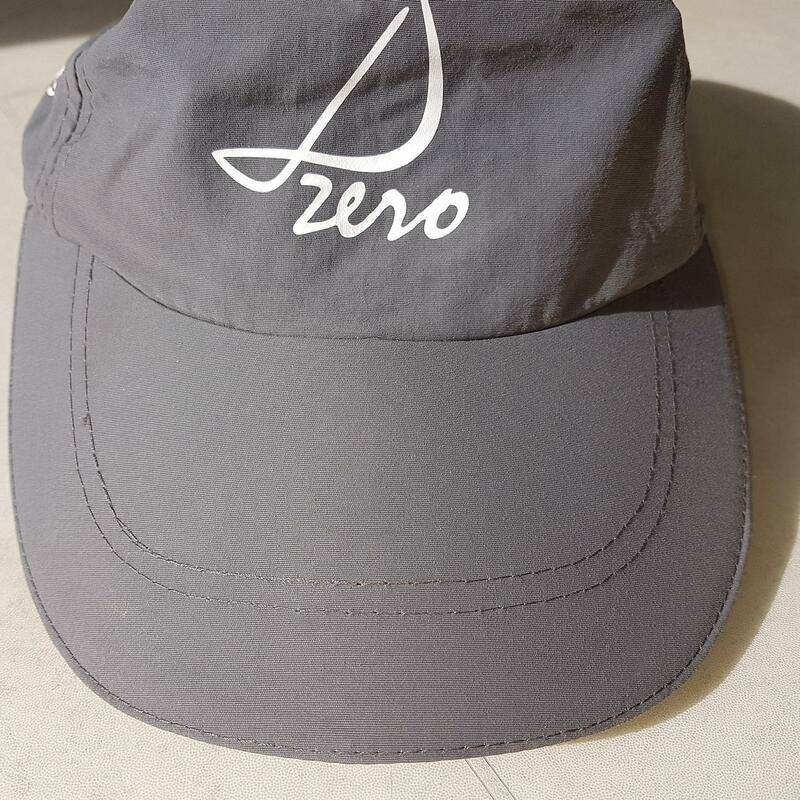 All profits will go to the Class Association to support greater marketing and events for the D-Zero! We’re also looking at Sun Visors and Water Bottles for next Spring and other items – if you have any ideas that lots of people cannot do without, please let us know. 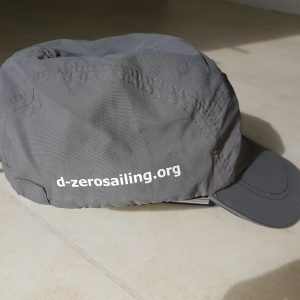 Boring stuff – Whilst the Class was unable to gain UK manufactured items, both shirt and hat are high quality fabrics known for performance and durability, meeting our own D-Zero high standards, and therefore comply to WRAP ethical certification, ensuring compliance with workplace regulations, child labour, hours of work, H&S, discrimination and security rules/laws; as well as Oeko-Tex Accreditation proving the items contain no harmful substances. 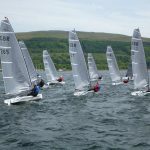 Printing is from a family run company in Emsworth Hampshire. So get your order in !